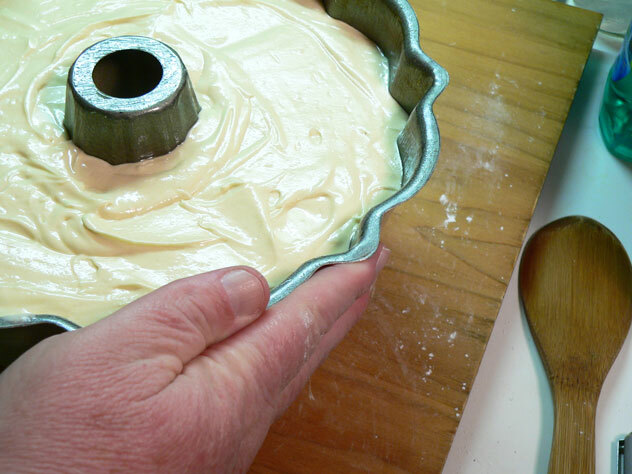 When the batter is smooth, lift the pan up a couple of inches and just let it drop back down on your counter top. This should break up any bubbles that might have formed in the batter. Do this several times, just don’t crack your counter top in the process. Any bubbles would just cause holes in your cake. Pretty in bread, not so pretty in cakes.